Precise motoneuron performance is essential for many aspects of nervous system function, including swallowing, breathing, locomotion and movement of the tongue. Motoneurones are also particularly vulnerable during human amyotrophic lateral sclerosis (ALS) and corresponding animal models of this neurodegenerative disease. While some motoneuron populations including spinal and brain stem motoneurones are particularly impaired, other populations like oculomotor neurones are largely resistant to ALS-related degeneration. This is a well-known phenomenon in advanced clinical stages of human ALS, but also in related animal models of motoneuron disease (Elliot and Snider, 1995; Ince et al., 1993; Reiner et al., 1995). Selective vulnerability of motoneurones has been closely linked to cell-specific disruptions of calcium signaling, but the underlying cellular and molecular events are only little understood. Recent progress in the experimental analysis of calcium signaling has permitted investigations of calcium regulation in different neuron types, in particular in selectively vulnerable and resistant motoneuron populations in animal models of neurodegenerative disease. 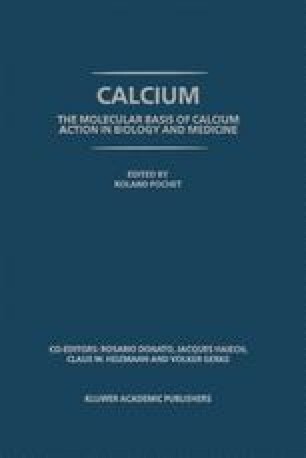 This chapter provides an overview of recent advances in this field with an emphasis on calcium signal cascades in ALS-related motoneuron damage. By avoiding technical specialities that can be taken from the reference list, this article is aimed at readers with a background in basic academic or clinical research without specific knowledge about motoneuron physiology or microfluorometric calcium measurements.